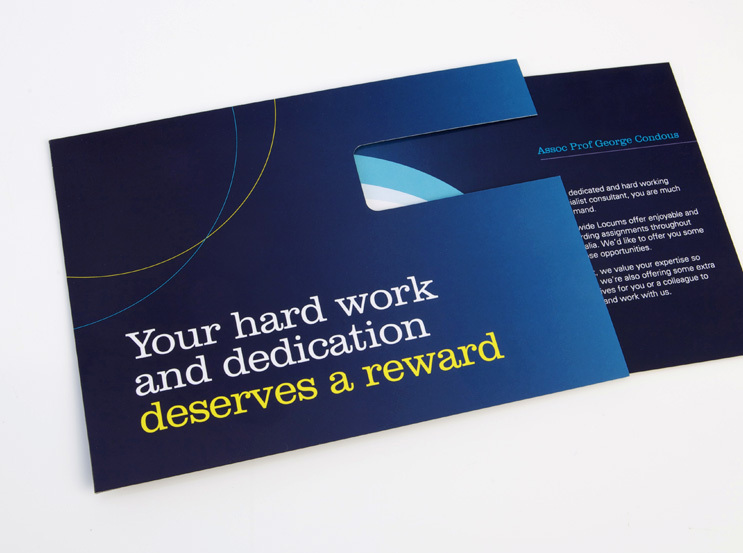 AustWide Locums commissioned us to design a sophisticated yet cost-effective direct mail piece suitable for small personalised print runs. 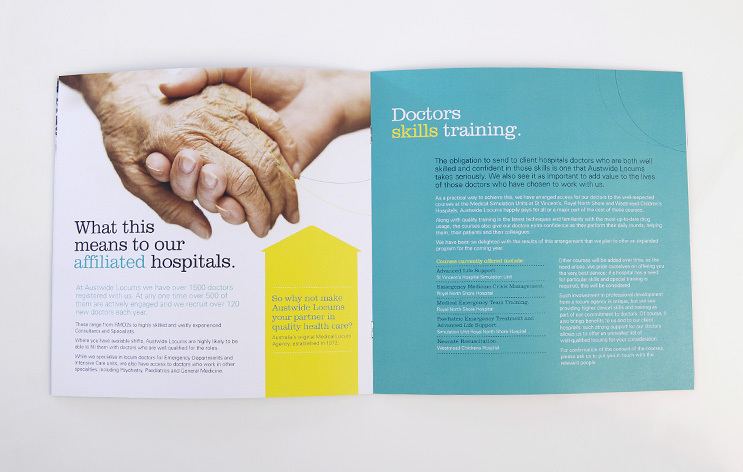 Combining digital print with traditional foiling, the piece is beautifully finished with sunny ribbon symbolising the start of new beginnings. 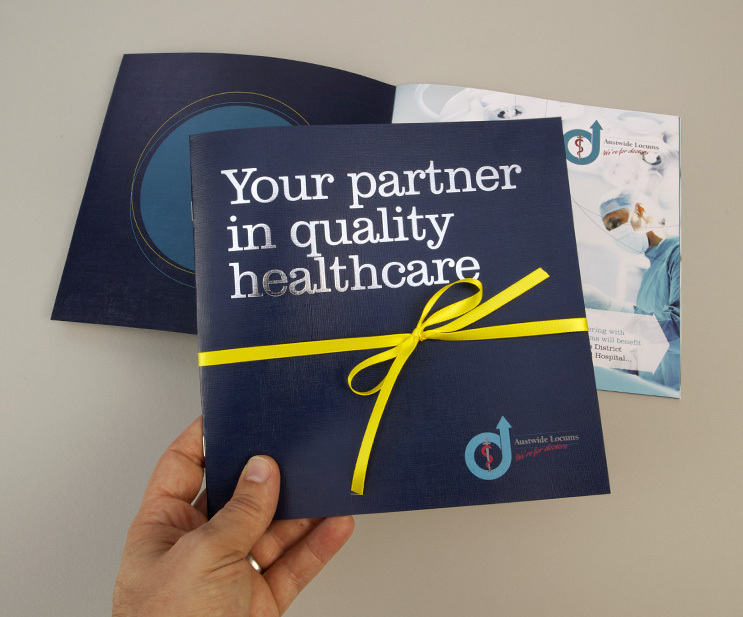 Printing the profile digitally enables us to produce a small quantity and personalise them for each prospect.